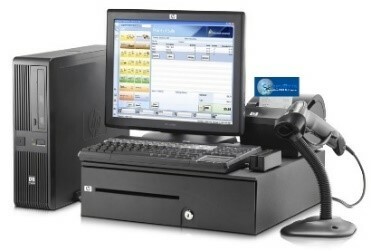 *Get the easiest, fastest, most affordable, and reliable Point of Sale Software. . .
• Good Receiving module with barcode labelling. What makes the CompuByte set of business Point of Sale application programs so different and yet so popular when there are hundreds of other programs to choose from ???. The answer to this question would undoubtedly be the best introduction we could give on the CompuByte POS set of programs. The programs are individually tailored to your business within minutes. This feature is unmatched by any other package local or imported. Any business would obviously like their programs to be closely adapted to their current manual operations and not be forced to change to the demands of a package which cannot be tailored in any way. Proven reliability. The CompuByte package has been in existence for the past two decades and is being updated monthly to meet new client requirements. There are at present over ten thousand clients using the package. Full training with every package. Every package includes a free training four hours . You can specify how you want to utilise your four hours of training. Although we have full documented help facilities in the form of user manuals and video tutorials that will definitely get you going . . . we entertain telephone and remote online desktop support. Complete Security. You have sole access control into any one of the CompuByte program modules. The access codes can be set at various levels and each can be changed by the security operator in your business. Peace of mind processing. No worries of corrupted files when the lights go off. All processing is done directly to the disk with minimum usage of data memory in volatile ram. Sometimes in even the best packages things can go wrong!!! That’s when the package really proves itself. Since we have three controller files to any input (i.e besides the normal debit and credit entry check there is a third file check for any disk disruption, this will immediately warn you of a corruption or security bridge on any module.) After a system crash you can begin working from where you left off.